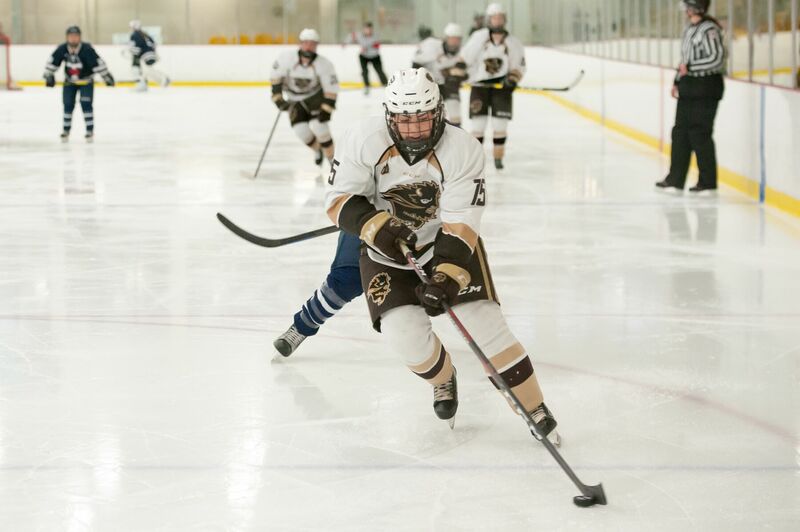 It wasn’t the tournament result they wanted, but the Manitoba Bisons closed out their national championship with a 2-0 win over the Toronto Varsity Blues. 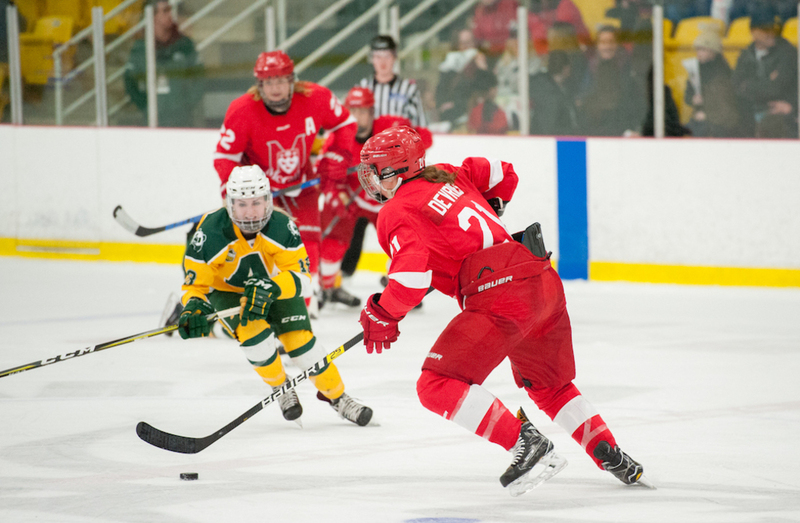 For senior forward Karissa Kirkup it was a bittersweet way to finish her varsity career, especially after missing last year’s championship run. And sharing that experience with family and friends was just icing on the cake. In a defensive-minded first period, chances came at a premium. Manitoba had a power play four minutes in, but was stymied by Erica Fryer, who turned aside 10 shots. Toronto, meanwhile, managed to get off just four shots in the scoreless frame. The Varsity Blues could only keep the Bisons down for so long and with five minutes to go in the second, Alanna Sharman made a great move to get by a defender and dished the puck to Kirkup, who slid the puck in for the 1-0 lead. Toronto had an opportunity at an equalizer late in the third, but the power play didn’t go as planned. On a partial break at 14:58, Kirkup fired a shot off Fryer left pad and Keen deposited the rebound on the open cage, as the Bisons sealed the win.